Very few situations are as aggravating as going to turn your vehicle on first thing in the morning only to hear a grinding or whining noise. Those are just two symptoms of a failing starter, and you should keep an eye out for any other warning signs that your starter might be nearing the end of its service life. 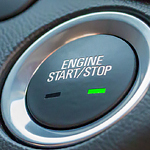 If you smell or see smoke when you turn the key, then the starting circuit might be damaged. The service team here at Lion Country Kia can quickly test the starting circuit to see if that is the problem. You should also keep an eye out for any oil under your vehicle. The starter doesn’t use oil, but the engine might leak oil into the solenoid or starting circuit. We invite you to stop by our service department in State College for all of your maintenance and repair needs.